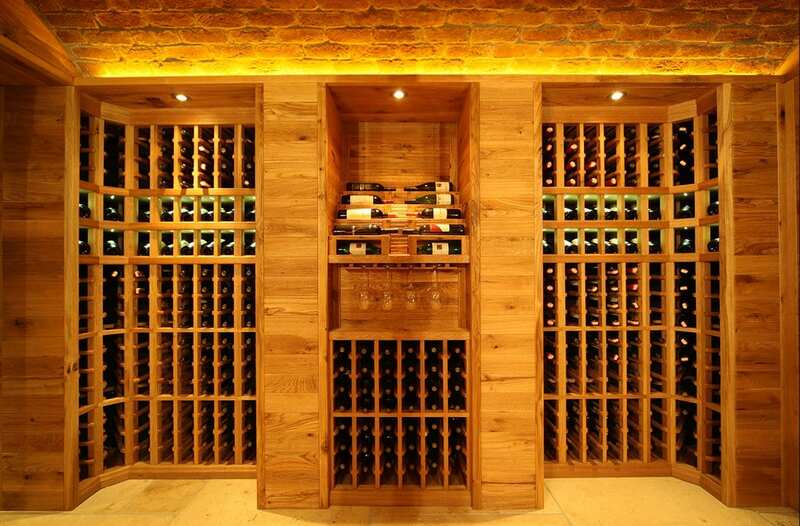 Private wine collectors who are interested in having a wine cellar in their home usually go for the authentic, warm feel of wooden storage units. 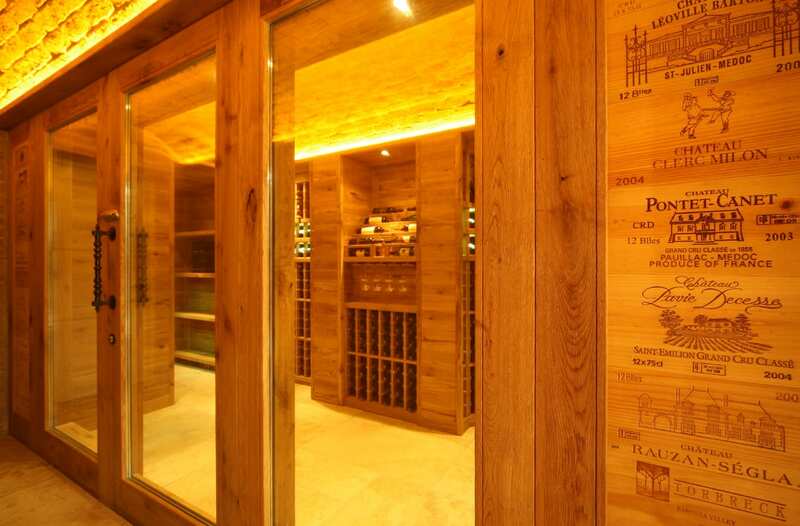 In this private wine cellar, this choice is taken a step further by covering all walls with the same solid oak wood, and to ensure that the feeling flows over into the house, a large glass façade was chosen. Looking through the glass, one immediately notices the cascade unit designed to exhibit the most precious wines in the cellar. During tastings, this unit is helpful with its detail for stemware. 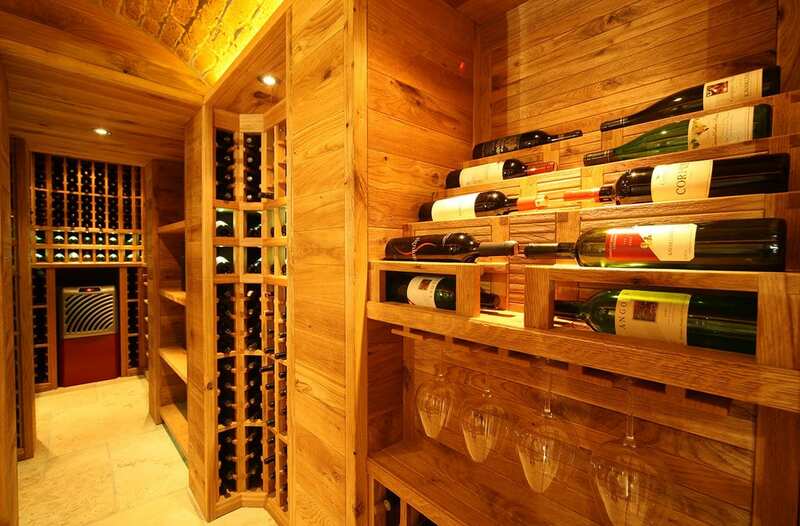 One of the most appealing details about this beautiful solid wood cellar of an individual private wine collector, is the honeycomb counter. This counter is hand-clad with hexagonal solid wood blocks with beveled edges and is wide enough to place several wine bottles on it.